An intimate conversation between oneself and a great mystery. Dare to tell the truth about what’s sacred. Reading is a creative act, and reading about the great mystery of being human helps create our inner lives. Explore with me the life of the Spirit. How we are each called into the fullness of our being? 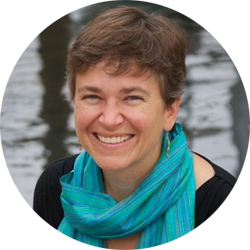 How might we articulate personal truth and thus bring about justice and social change? What does it mean to serve the source of love at the center of creation? 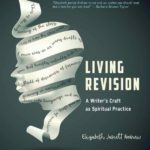 Living Revision: A Writer’s Craft as Spiritual Practice is now available! 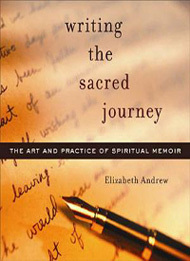 Writing the Sacred Journey: The Art & Practice of Spiritual Memoir is an accessible, thought-provoking guide to writing the story of your inner life. It includes exercises to get you started and advice for developing you work. Available in print and ebook. 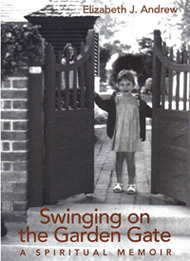 Elizabeth’s spiritual memoir, Swinging on the Garden Gate, is now available in ebook format for $0.99. May the rigor of learning to write well deepen your insights, widen your relationships, and enlarge the sacred presence you bring into the world.